The news: Add another injustice to the list of prejudices and biases women face in American society. A recent Vanderbilt University study found that overweight women have a higher likelihood of working in lower paying jobs and in jobs that are more physically demanding. Meanwhile, they are less likely to receive higher paying jobs where they interface with the public. In both cases, they make less money than their averaged-size female counterparts and all men, regardless of size. The study examined data from the American Time and Use Survey and Current Population Current Population Survey, which, as the Washington Post notes, allowed the researchers to compare between weight and different kinds of professions. But isn&apos;t the gender wage gap already a well-known problem? Yes, it is. But this issue runs deeper. Overweight women don&apos;t make less than overweight men just because they&apos;re women and women make less. They make less because they are overweight women — overweight men do not face the same discrimination. "No matter the type of occupation, obese men seem to do just as well as average-size men," Jennifer Shinall, Vanderbilt assistant professor and author of the study, told the university. "They make just as much as non-obese men and make just as much money in both personal interaction occupations and physical occupations. "But we see the opposite pattern for women. A morbidly obese woman working in an occupation with an emphasis on personal interaction will earn almost 5% less than a normal weight woman working in an occupation with exactly the same emphasis." So the money-making hierarchy goes something like this: Men make more than women. But skinny women make more than average women, and they all make more than overweight women. This development piles onto the string of bad news women have suffered through this year. Reproductive rights have been curtailed thanks to the Hobby Lobby decision. Victim blaming/shaming doesn&apos;t show any signs of abating as a high school recently forced a girl to wear a "shame suit" for showing her knees. 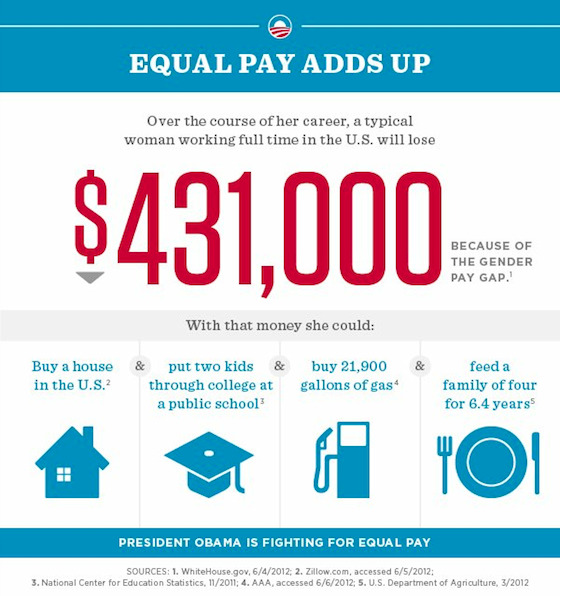 But worst of all, these finding make the gender wage gap even worse. For every dollar a man makes, a women earns 77 cents, which will cost the average American woman $400,000 over her professional life. This wage-gap gives men 33% more spending power than women, which has a huge impact on society. Now, there&apos;s another institutional bias within an institutional bias: the gender-weight gap.